ISLAM NEWSROOM - "Memories of Great Times - With Great People"
Imam Mutahhir Sabree - "Treasures of Islam"
Imam Shamsiali - "Welcome Back"
Yusuf Estes - "Family Focus"
Karim Abu Zaid (Denver, CO) - "Let's Talk About It"
Abu Anas (Merritt Island, FL) - "Understanding Our Way"
Muslims Ask "Who Are Sone of the Scholars of Guide US TV?" Everyone wants to know "Where's Sheik so-and-so?" "How can I find a good teacher?" "Who are the scholars on Guide US TV?" At Last! A TV Channel Online for scholars & events..
Events, activities and facts of our beloved scholars and presenters of Islam. Here is the list of all speakers. Former Christian Preacher, and Retired National Muslim Chaplain of N. America. 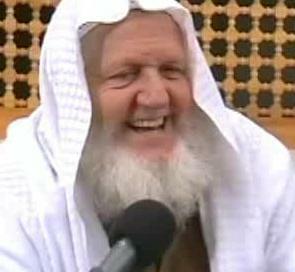 more..
British convert who is famous for his lectures on Islam in London's Hyde Park. more..
Public Speaker and founder of IDCA center in Australia. more..
One of few Muslim Scholars who comprehends the knowledge of Islam & Western Ideologies. more..
An Australian convert who's love towards science has led her to Islam. more..
Former Catholic alter boy & candidate for priesthood. more..
A convert to Islam and regular speaker in California. more.. Exciting NEWS - All English speaking scholars - LIVE - In Person and available for questions & answers. How do we find them and go to one of their talks? Sheik Yusuf Visited India January 10 - 22, 2008 . . . Exciting NEWS - January & February- All English speaking scholars - LIVE - In Person and available for questions & answers - in Chennai and Kerala, India. Don't miss this once in a life-time opportunity to enjoy seeing, hearing and being with these great English presenters of Islam. Be sure to tell all your family & friends about it too, inshallah.